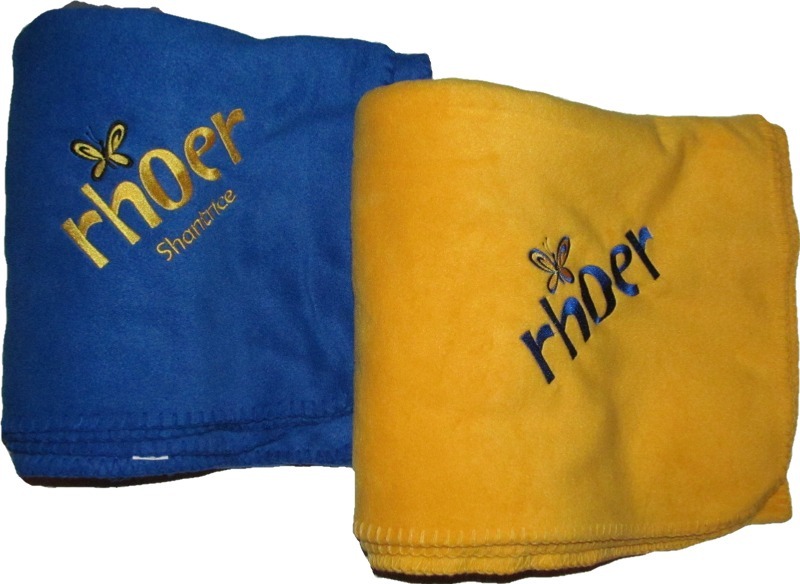 Get nice and toasty under this ultra comfortable fleece blanket. 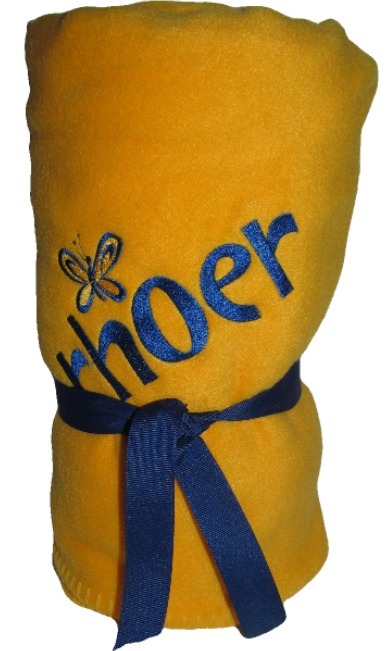 Cute "Rhoer" and butterfly is embroidered in the corner of the blanket. It measures 50" x 60". Looks great on your bed or roll it up and take it with you. Even add a custom name of up to 18 Characters.